I was flipping through the photo on my phone recently, and found a photo that I forgot I had taken and should have posted. Taken in the fall, this picture may not look like much, but take a closer look. 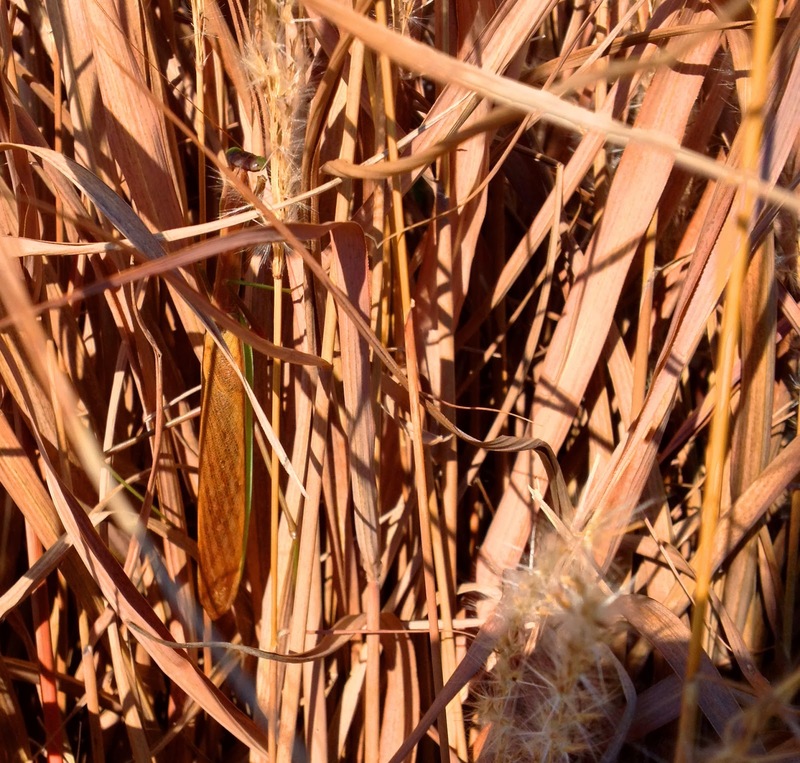 In the weeds, there is a hidden gem: a pray mantis. I was outside at my in-laws and saw this gal hiding in the weeds. I took her photo with my film SLR, and grabbed my phone to take her photo for instant gratification. I was so glad I was observing the weeds to find this big bug. My point? We all have cool photos that we forget about at times. Every now and then, take the time to see what you did. You may be reminded of something neat you forgot about.